Two of the most progressive, influential artists in jazz piano are joining forces to create a performance which stretches the definitions of improvisation and composition. 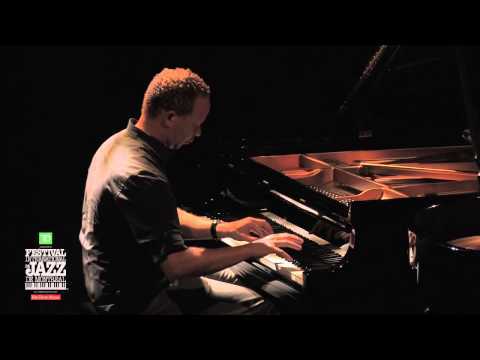 Craig Taborn and Vijay Iyer have both earned world-wide recognition as true originals: both are highly intellectual, both rose to prominence by pushing boundaries of genres and both have a highly personal approach to improvisation. Iyer, hailed as “one of the most interesting and vital young pianists in jazz today,” by Pitchfork, is a grammy nominated artist who records for the ECM label. Not only that, he holds a Ph.D. in Technology and Art and is largely self-taught. Introducing the evening, Vijay Iyer will start at 19h30 with an inspirational lecture on ‘Music & the Brain followed after a short break by the duo concert. Craig Taborn is one of the most sought-after sidemen in the business and he’s worked with artists like Paul Motion, Dave Holland, Chris Potter, Bill Frisell, and Steve Coleman. He’s regularly topped critics and readers polls in jazz publications like Downbeat and JazzTimes. He’s also received high praise from Downbeat, naming him a ‘visionary of the current wave’. This is a rare opportunity to see two jazz greats perform together. Their collaboration is a challenging dialogue between two innovative individuals, combining swirling influences from jazz history as well as electronica and the modern classical spectrum. The results are an experience described by Enola as ‘A piano spectacle that meandered between expressionism and impressionism’. Food for the soul for adventurous jazz aficionados! There are student tickets for €15 (select CJP-tariff and present your student-card at the doors) and regular tickets for €25. After clicking on the tickets on our website, you will be transferred to the Parkstad Limburg Theaters website. Once there, please select “Bestel”, select the amount of tickets, choose your seats, leave that seating screen, click on “Plaats in winkelwagen’ and go to “Afrekenen”.